How to Get to Manda Centrale? In case you haven't heard yet, the organizers of Mercato Centrale at the Fort and Mezza Norte at UP-Ayala Technohub have opened their newest venture - Manda Centrale at - of course - Mandaluyong. Folks from the booming area around Shaw Blvd and Greenfield District and surrounding areas of Pasig, Mandaluyong, and San Juan have something to look forward every Wednesday, Thursday, and Friday (from 6pm to 3am). *Remember that Manda Centrale is located at Mayflower Parking area, Greenfield District (formerly EDSA Central), in front of Greenfield Corporate Center. Best landmark would be the Teleperformance Building. *These options assume that you have already reached EDSA. 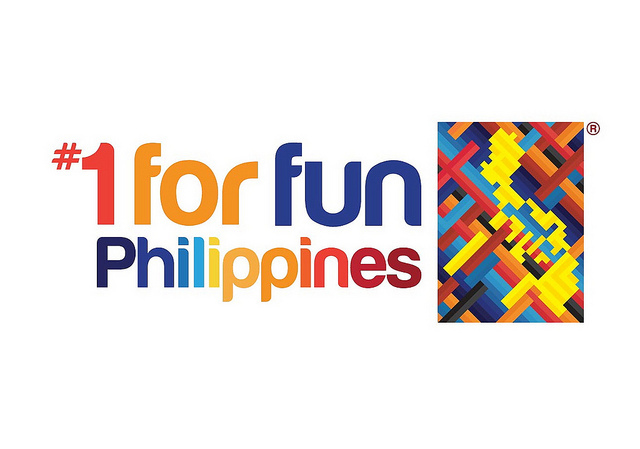 To get to EDSA, you can ride LRT2 from Manila to Cubao, Quezon Avenue bound jeeps or Cubao-bound buses from NLEX. Option 2. You can also take the MRT and get down at Shaw Blvd Station and cross EDSA. If you miss Shaw Blvd, you can use the platform crossing to ride the northbound line at Taft, Ayala, and Buendia. These stations have options to cross platforms without paying again. *These options assume that you have already reached EDSA. To get to EDSA, you can ride LRT1 from Manila, Magallanes-bound buses from SLEX, or Pasay-Rotonda/Mall of Asia bound jeepneys. Option 1. You can ride a bus passing through EDSA (Crossing-Ibabaw) going to Monumento or Fairview go down at Shaw Blvd. Walk towards the Teleperformance Building, that's United St, you will see Manda Centrale to your right. Option 2. You can also take the MRT and get down at Shaw Blvd Station. Walk towards the Teleperformance Building, that's United St, you will see Manda Centrale to your right. If you miss Shaw Blvd, you can use the platform crossing to ride the southbound line at Cubao. If you are somewhere around Tiendesitas (on the east side) or Greenhills (on the west side), there are jeepneys go to Shaw Blvd, just try to ask around for the nearest jeepney or bus stop. If you are in the Ortigas area, it is advisable to walk because it is healthier and Shaw Blvd is just very near. If you are coming from the Mandaluyong or San Juan area, just ride a jeep to Shaw Blvd/EDSA Central/Greenfield District. 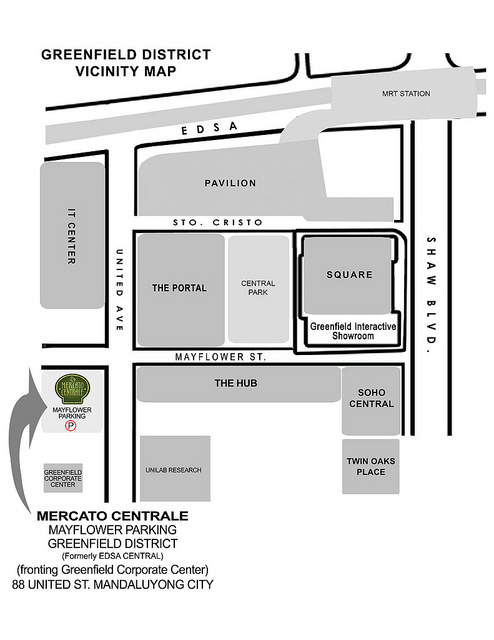 For private vehicles: Manda Centrale is located at the corner of EDSA Centrale/Mayflower/United Street. From EDSA NB, turn right at United St (where Teleperformance is) or Shaw Blvd. If you are at Shaw Blvd going to EDSA from Pasig side, you can turn left at San Miguel Avenue and turn right at United St.
Of course, you can ride a taxicab from any area around the metro and just mention "Greenfield Shaw", "EDSA Central" or "Teleperformance" and the driver already knows where to go. Other landmarks and structures around Manda Centrale: EDSA Centrale, Unilab, Mayflower Plaza, Shangri-La Mall, Richmonde Hotel, Teleperformance Philippines, Greenfield District, IBM Daksh Business Process, STI College EDSA, MRT Station (Shaw Blvd), Star Mall EDSA, Megamall. 51 Responses to "How to Get to Manda Centrale?" Thank you for sharing the direction! Bookmarked. i am thank full to you for sharing such nice information. thanks for sharing this route map, its really useful for us when we visit there. i find this post very informative. terrarium tv app today is a nice video clip software. There'll be a draw at the end of the month SurveyTips truly based upon your newest experience. survey online representatives are not qualified to join the drawing and also the survey. customer feedback homeowners among the 50 United States download the electrical outlets of the pharma chain. The essay help is always delivered on time with the 24x7 support that is required by students to remain in touch with the experts. Just you need to hire assignment helper online. Do you know the improper citation and failing to follow the process as instructed can land you in great trouble on grounds of both intentional and accidental plagiarism? There’s no point risking your paper and ending up with wrongly cited paper. Our online Vancouver citation generator is available for free and comes with the guarantee of genuine citation and referencing creation. All Assignment Help is a web portal where students get help in making assignments for all the subjects, with the help of our experts. You will get 100% plagiarism free assignment. The agreement has been agreed to be an integral part of the annual planning process and any amendments will be made after agreeing of the concerned stakeholders. Are you done with your English assignment and now looking online for an English paraphrasing tool, feel lucky enough because you are at the right place, follow this link for English paraphrasing tool. Hey, Your blog is very informative. It is nice to read such high-quality content. For assignment help go for Myassignment help. For more information related to newcastle upon tyne essay assignment help.